Want More Referrals, Recommendations & Reviews? UP TO 87% OF CONSUMERS RESEARCH YOUR BUSINESS ONLINE BEFORE THEY MAKE A PURCHASE.PROTECT YOUR BRAND BY BUILDING YOUR ONLINE REPUTATION. you have two types of customers. 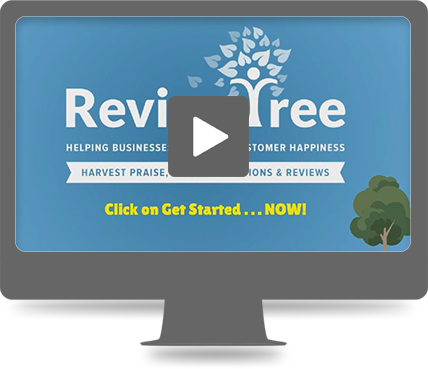 The ReviewTree system taps into customer sentiment (HIPAA compliant) so you can protect and grow good customers. With ReviewTree you will be able to convert more customers into fans and get more your fans to tell people about you. Happy customers increase profitability but did you know it also saves you money? It is up to seven (7) x less expensive to retain an existing customer than it is to find a new one. Still, sometimes customers have a bad day. You’ll find out if there’s a problem before you loose them or they rip into you online for all to see. We get them talking (You Rate – We Donate!) and their praise gets piped into your Facebook page and website. Unlike other services, praise can also appear on external review sites like Yelp, Google +, Angie’s List, HealthGrades, UrbanSpoon, etc. Now everyone can see how much you are loved! Google also loves customer reviews so you will see your Local Search ranking climb too! To help you track your results, you get reports of your reviews, responses and local search visibility. Proof of results, not smoke and mirrors. One (1) An audience and Two (2) Content. Getting a social media audience is the first challenge. Do consumers really want to “Friend” or “Follow” their Physician, Salon, Repair Shop or Contractor ? A card that says, “We’re on Facebook” doesn’t work. Increase your new fan base by up to 500% by making the social connection easy and natural for your customers. The next challenge is having content that is meaningful. Don’t have time to come up with new content every day? Get your customers to write for you! Their comments will get shared with you and their friends and family. The very audience that their opinion matters most to. Please enter your info below and we will send you a free online visibility and reviews report for your business. Increase Online Reviews$20 per authentic, positive customer review posted. Generate Customer Feedback & Testimonials$5 per Customer Endorsement Generated for use in print and website. Respond to Reviews and Customer CommentsMonitor and respond to all reviews and comments from a single place. Improve & Correct Online VisibilityIncluded: Correct or Create 5 Sites/Citations per mo. Improve & Correct Online VisibilityIncluded: Create 3 Citations per mo.